Softphones are a good way to dial out with Acarda Outbound. To use a softphone you need to arrange a VoIP/SIP Service to work with them. 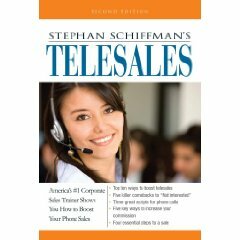 In this blog I will cover how to select x-lite and Zoiper softphones as the dialing device but you may want to check out other softphones. 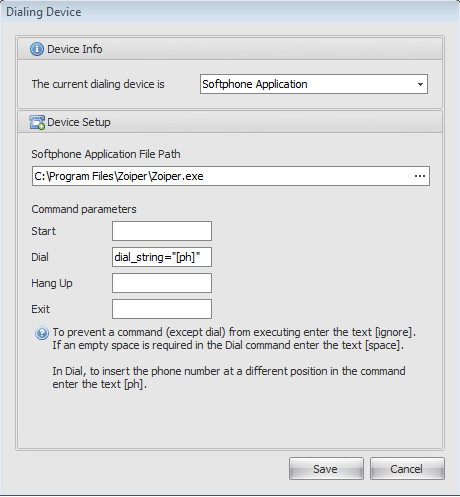 The main requirement is that the softphone must support command line parameters. These instructions are for both the Team and Solo Editions. 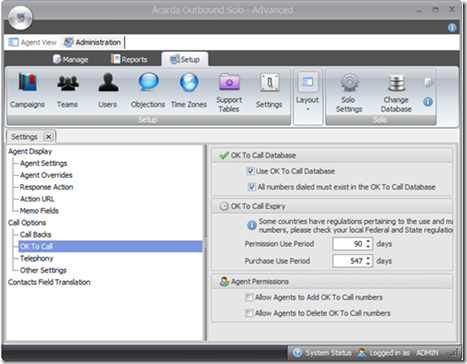 For Acarda Outbound Team, in Acarda Outbound Agent click on the Tools menu up the top right side of the screen. 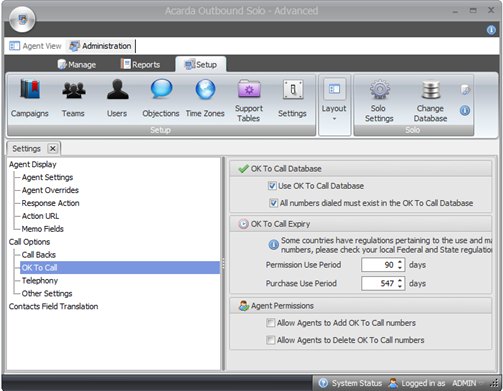 In Acarda Outbound Solo, click on the Agent View tab and in the top right corner you will see a menu Tools. Under Tools select the Dialing Device sub-menu. 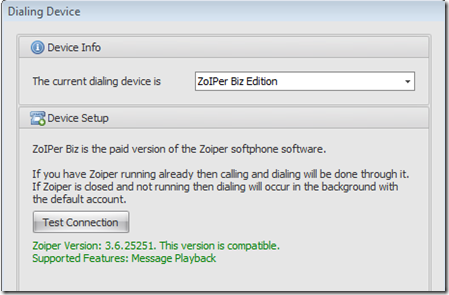 With Zoiper 3 Biz you can simply select Zoiper Biz from the Dialing Device menu in Acarda Outbound. Ensure you have first closed out of Zoiper. Once selected click on the Test Connection button to confirm it is the correct version then click Save. 1. In the Dialing Device menu select “Softphone Application”. 2. 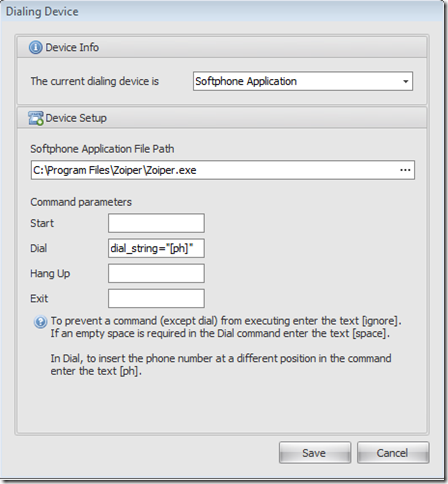 In the “Softphone Application File Path” box, select the Zoiper.exe filename. This is the application filename and path e.g. for Zoiper this might be “C:\Program Files\Zoiper \Zoiper.exe”. 3. Enter in the Dial box: dial_string=”[ph]”. 4. 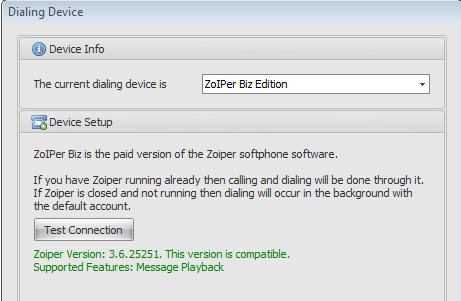 Ensure that the rest of the boxes have nothing in them unless you are using an older version of Zoiper Biz in which case you could also enter “hang” in the Hang Up box. 2. In the “Softphone Application File Path” box, select the x-Lite.exe (or whatever your softphone is) filename. This is the application filename and path e.g. for x-Lite it may be “C:\Program Files\Counter-path Software\X-Lite\xlite.exe”. 4. Ensure that the rest of the boxes have nothing in them. To dial, you use the Acarda Outbound Dial button as per usual; but to hang up with the Zoiper Free edition or x-Lite, you switch to the softphone and press the hang up in it. People using the Acarda Outbound with Zoiper free or x-Lite usually have both the Acarda Outbound and the softphone displayed on their screen, simultaneously side-by-side. 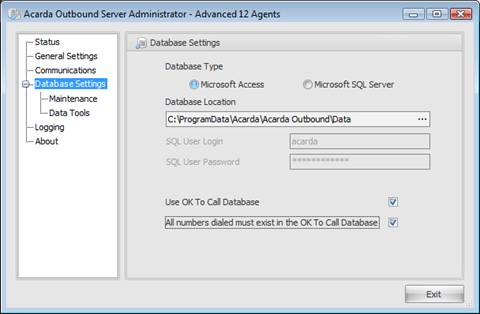 One last setting, go to Acarda Outbound Solo Administrator tab, under Setup, then Settings. In the Team edition, open Acarda Outbound Manger and then under Setup, then Settings. 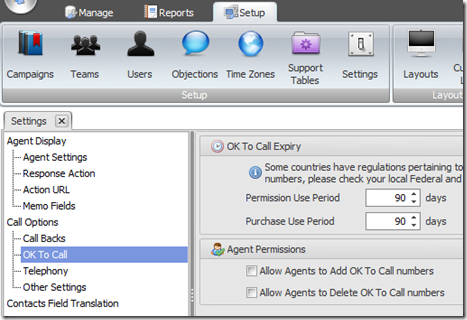 Here in the Call Automation group (under Agent Settings), ensure that the “Auto hang up after dialling” is unchecked. I know this all sounds complicated however once you have a softphone working feel free to contact us and we can help you get Acarda Outbound to work with your softphone and take care of these settings for you. When using a voice modem card as the dialing device it is possible to configure Acarda Outbound to play a pre-recorded message when you are using a TAPI compatible voice modem as the dialing device. 1. In the solo edition of Acarda Outbound, first click on the Administration tab and then the Setup tab. 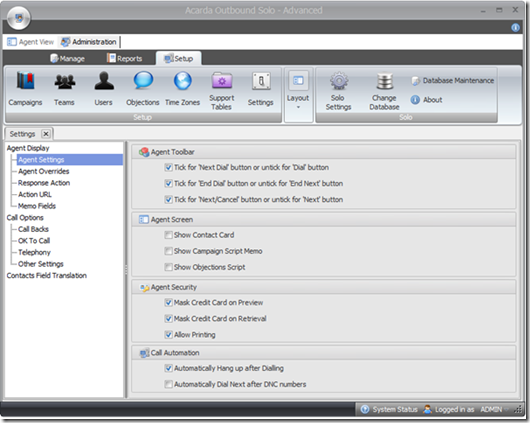 In the team edition, open Acarda Outbound Manager and click on the Setup tab. 2. In the Setup group of icons click on the Settings icon. 3. In the left sidebar you should default to the correct location, the Agent Display then Agent Settings. 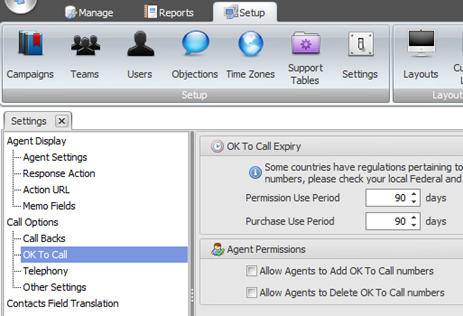 In the Agent Settings panel there are four sub-panels, the last one called Call Automation consist of two check boxes. The first check box is called Automatically Hang up after Dialing. This is the one to uncheck if you want to play voice messages through a modem. At present you can only have one pre-recorded message and it must have the file name and location of: “C:\Program Files\Acarda\Acarda Outbound\message.wav”. Future releases should improve this and give multiple recorded message file options. So take your recorded wav file and rename it to message.wav and copy it into the “C:\Program Files\Acarda\Acarda Outbound\” folder. For the team edition this file should be located on the agent computers. Now when you have dialed out with through your TAPI voice modem you will be able to click on the Action button and then select Play Message. If you need to stop during the message you can click Stop Message.